This is a guest post by Manjana Milkoreit, Assistant Professor in the Department of Political Science at Purdue University. Her research integrates international relations scholarship and cognitive theory to study actor motivations and policy design in global climate change politics. She is the author of Mindmade Politics: the Cognitive Roots of International Climate Governance (The MIT Press 2017). An objective, rationally determined national interest would have to be independent of the individual holding the presidency. Any person with the relevant information would end up making the same determination concerning the policy choice that is most beneficial for the survival and success of the US, weighing the costs and benefits of the available options. If that is the nature of the national interest – objective, rational, calculable – either Trump or Obama must be wrong. Alternatively, we might have to rethink the notion of the national interest. From a social constructivist position, the national interest is not objective, but ‘intersubjective’: the constantly changing result of social interactions and contestation among different political actors, who can assign different meanings to the same set of facts. Integrating the rational-choice approach and social constructivist accounts of the national interest with a little bit of cognitive theory, I argue that two Presidents of the United States can take opposing policy positions on a specific issue, and both act in the national interest. When it comes to foreign policy, the US President holds the prerogative over the interpretation of the national interest. As the vocal responses to President Trump’s withdrawal from the Paris Agreement have demonstrated, his definition of the national interest can be out of sync with the majority of the American voters, major states and cities and a large portion of the business community and academic observes (“a major unforced error”). As Jarrod Hayes writes, these sub-national actors challenge Trump’s foreign policy on climate change and potentially undermine the authority (and credibility, influence and effectiveness) of the US government in international affairs. Yet, they cannot change the President’s mind or foreign policy. Hence, when it comes to the national interest, much depends on what individual presidents believe, and who or what influences those beliefs (see Elizabeth Saunder’s post on Trump’s decision-making process and Steve Saideman’s comments on the Great Men theory IR scholarship). In essence, the national interest comes down to one person’s brain functions. Cognitively, both President Trump and Obama, developed three interdependent clusters of ideas – a cognitive triangle – to define the US national interest with regard to international climate change collaboration. One cluster contains a rational threat assessment of climate change, including the costs of potential climate policies. A second cluster consists of identity concepts – who are the (American) people each President identified with and sought to protect? The third cluster contains the moral norms appropriate for the threats and identity group developed in the other two clusters. Each president’s cognitive triangle can contain vastly different ideas, depending, for example, on their place of birth and worldviews, including their ideology. These variations create different, but predictable cognitive patterns individuals and ultimately countries adopt. I’ll focus on threats and identities to illuminate some differences. Threat perceptions can include threats presented by climate change itself (e.g., sea-level rise and the associated economic costs of coastal erosion, flooding, rising insurance costs and decreasing property values) and threats related to climate policy (e.g., the economic costs of imposing a carbon tax). There are very different kinds of climate threats, ranging from existential threats and concerns over human health and wellbeing, to ‘mere’ material-economic ones, such as damaged infrastructure (a climate impact), or higher energy bills (a climate policy impact). 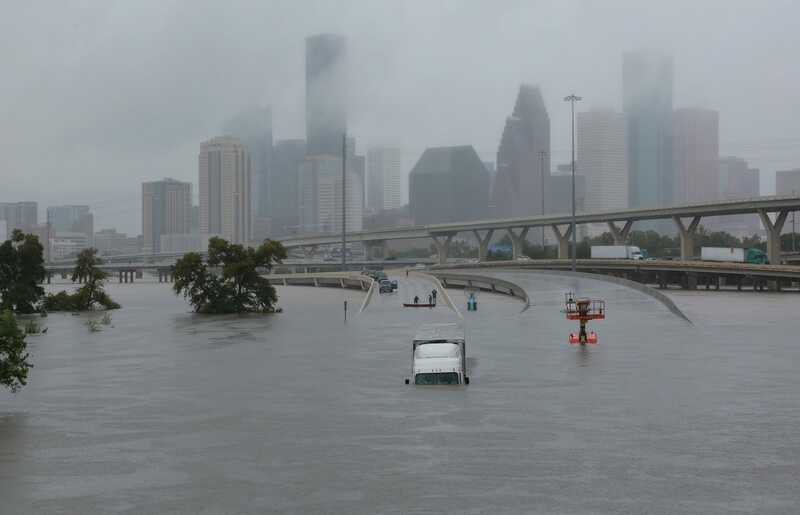 President Obama expressed a clear concern for the former – the climate impacts that could affect human wellbeing and in some cases survival of people and communities, including those in the US, as Harvey might have just brought home impressively. He believed that climate policies could even be beneficial for the American economy. President Trump, on the other hand, seems to focus exclusively on the potential economic and financial costs of climate action. Since he never mentioned any potential climate impacts affecting any Americans, he is either unaware of or concerned about these impacts. As elected leaders of the citizens of the United States, Presidents tend to focus on national identities. President Obama expressed his concerns not only for the American people and for future generations of Americans, but also for others inhabiting this planet. President Trump seemed to focus on some, but not all, Americans when he announced his withdrawal from the Paris Agreement: he singled out the people of Youngstown (OH), Detroit (MI) and Pittsburgh (PA) as examples of the group he wants to represent and protect. There is a direct link between a decision-maker’s preferred identity group and the kinds of climate threats he is concerned about. Naturally, a climate-related threat assessment for the people of Pittsburgh will look very different than a threat assessment for the people of Miami or one that would take all Americans into account, let alone adding in non-Americans that might be worthy of American protection, solidarity and care. As a general rule, the larger the group of people one cares for, the more likely it is that somebody in that group will be significantly affected by climate change, for example, because they live in a coastal flooding zone. This interdependence between the people a President cares for, and the specific problems the he expects to affect these people is crucial for understanding why one man believed that climate action was necessary and the other considered it a waste of money. Two minds created two radically different definitions of the national interest. One President saw a problem that could and should be solved with the tools of government, even an opportunity to reinvent the American economy with new clean industries. The other believed that contributing to a global solution would put the American economy at a disadvantage; he even seemed to perceive a belittling and unfair exploitation of the US – a reputational threat to America’s greatness in the world. The incredible malleability of the national interest could not be demonstrated more starkly; the implications for the global politics and the future of human well-being could hardly be more profound. Welcome to New Guest Ducks! I vaguely remember wondering – is this where the emotive content of ideologies comes from, or something else?